While pests affect everyone's health if they are not controlled, some of us are especially vulnerable to pest stings, pest transmitted disease, and pest-caused allergies. This includes our children, as well as the elderly, and our pests. This article will focus on our children. Children and infants are especially at risk to pests because they are always moving around and exploring, often close to the ground or on the ground, causing them to naturally have more encounters with pests. Rats bite about 45,000 people annually in this country. The vast majority of these bites involve infants and small children. Children are also especially at risk to pest-induced allergies. Studies have shown that in some inner city areas, cockroaches are the #1 cause of allergies among children. An even bigger problem is that children are more susceptible to the many diseases pests carry. Dr. Jerome Goddard, a medical entomologist and author of The Physicians Guide to Arthropods of Medical Importance, points out that children are more vulnerable to disease because their immune systems are still developing. Since children exposed to fewer germs that adults, their reactions are often more severe. The disease organisms pest carry cause everything from Lyme disease, encephalitis and hanatavirus, to common diarrhea. Children, because of their small size, are also more at risk from stinging insects-everything from bees, hornets, and yellow jackets, to fire ants and bites from poisonous spiders. The same amount of venom from these insects in a small child can cause a much more serious reaction than in an adult. Research on termites has greatly accelerated in recent years, allowing us to better understand and control them. We thought you might be interested in a few of the important research findings about this destructive pest. Termites are eating wood all year, but they tend to be more active in their search for new food sources in the spring and early summer, with another peak of activity in the fall. They are most active in the fall. They are most active when the soil is moist and the air temperature is moderate. HOW DO TERMITES SEARCH FOR NEW FOOD SOURCES? Termites have poor eyesight and do not know they are near wood until they practically bump into it. But they do use environmental clues to help direct their search. These include odors emitted by decaying wood, and gradients in soil moisture. Termites tunnel to find new food sources. The tunnel branches go out somewhat like the spokes of a wheel in what might seem like a random search, but is in fact extremely efficient at finding new food sources. They also have a tendency to follow along objects like roots, pipes, and cracks, to find new food sources. WHAT TYPE WOOD DO TERMITES PREFER? No wood is immune to termite attack if there is limited food, but they do not show strong preferences. They prefer moist over drywood, fungus-decayed wood over sound wood, softwoods over hardwoods, and the softer sapwood over heartwood. They often, but not always, avoid cedar, cypress, and redwood. 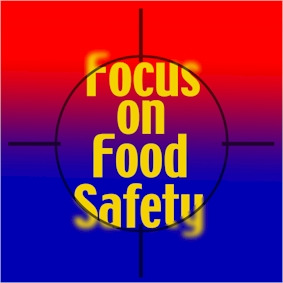 Humans have learned the importance of practicing food safety-keeping our food as free as possible from bacteria and other germs so it stays fresher and doesn't pass harmful microbes onto us. New research shows that certain insects that eat cockroaches also practice food safety. The emerald cockroach wasp has a similar food safety problem as we do, and its food is cockroaches. Cockroaches are notoriously "dirty" insects that harbor a wide variety of bacteria. The emerald cockroach wasp lays its eggs on the legs of cockroaches. The larve that hatch bore into the cockroach and feed on the roach's internal organs, not killing the roach until the larvae have fully developed. If the cockroach dies and decays too soon, the wasp larvae will die. Amazingly, the wasp larvae are able to solve this "food safety" problem by emitting a special antimicrobial liquid that it spreads around inside the cockroach. The special concoction of two chemicals has been shown to be very effective in killing bacteria. The result is that the cockroach stays fresh longer, which gives the wasp larvae time to fully develop. The compounds in this special concoction are being studied for possible use in food safety and as antibiotics. After all, if they can kill the bacteria in dirty cockroaches, they must be powerful!! One of most unexpected recent findings about ticks is that bites by lone star ticks can cause an allergic reaction when eating beef, pork, or lamb. Symptoms can range from vomiting and nausea, to hives and itching, to a life-threatening anaphylactic reaction. It is an unusual food allergy because symtoms are delayed, occurring 3-6 hours after red meat is eaten. Instead of an allergy to a protein, this allergy is connected to sugars in the blood. Researchers still don't know why some people bitten by ticks develop the allergy and others don't, but there appears to be a genetic basis for the susceptibility, because cases seem to run in families. A bite by the lone star tick may have occured weeks or months before the symptoms show up for the first time. The good news is that the allergic response seems to fade after a few years, as long as the person isn't bitten again by a lone star tick. Lone star ticks are primarily in the southwest, but their range has been expanding both west, and as far north as Massachusetts. No other ticks in the U.S. cause these problems, but red meat allergies due to tick bites have also been recorded in Australia and Europe. Are "LED Lights" MORE ATTRACTIVE to Insects? Lights outdoors can be a problem because they attract so many flying insects at night. Bright white or bluish light ("cool white" light, the kind produced by most incandescent and fluorescent lights) are especially attractive to insects, while bulbs that produce "warm white" lights that has a slightly yellowish cast, like sodium vapor and halogen bulbs, are less attractive. Replacing a white incandescent light bulb with a yellow bulb outdoors has alway been a practical way of attracting fewer insects at night, but most people don't like the strong yellow light. What about the new, more energy-efficient LED lights? It all depends. 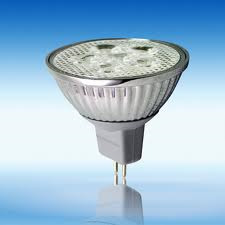 The good news is that LED bulbs that are in the "warm white" range attract very few or no insects and are good lights to consider for lights in outdoor areas. Some LED bulbs that are 3200K or higher (these are the"cool white" bulbs that have a more bluish cast) do seem to attract insects, so don't use these for key areas outdoors. Whatever Happened to Killer Bees? Africanized honey bees, sometimes called killer bees, are not in the news nearly as much as they were a few years ago. Why? Killer bees have become "old news." But these invading bees are still moving north at about one mile per day. They now occupy most of the Southwestern U.S., as well as parts of southern California, Nevada, and part of southern Florida. They aren't able to overwinter in cold areas, but no one knows how far north they'll be able to live. In areas where Africanized honey bees have invaded, people have had to adapt, and they've learned to be more cautious. The venom of these bees is no more toxic than our common European honey bees, but Africanized honey bees are much more aggressive in defending their nest. They often sting in much larger numbers, making them much more dangerous.